Gamepedia is the largest video game wiki platform on the web, and nearly 20 million visitors a month turn to our wikis for information on gameplay, boss strategies, item recipes, and more. We’re always exploring new ways to improve the experience of our wiki editors and visitors, and today we’re unveiling a new program that will transform your wiki browsing experience: GamepediaPRO. GamepediaPRO provides users with HTTPS access, ad-free browsing, and a special PRO badge on the wikis, which will be displayed on user pages and next to edits in a page’s revision history. PRO is a subscription service, and there are three different payment plans available: monthly, quarterly, and yearly. If you’re a wiki visitor, you’ll be able to receive a faster, better experience on all of Gamepedia’s wikis for a nominal fee. For editors, GamepediaPRO will be granted to you free of charge once you reach a certain amount of edits, and you’ll be able to retain your subscription as long as you’re an active editor. Ready to experience PRO? For the next week, the GamepediaPRO annual subscription is 50% off. To ensure you receive this discount, grab your subscription as soon as possible! With the launch of this new service, we’re also making changes to our ad layout. The ad in the upper-right section of pages has often caused issues with infoboxes and other page content. We’ve heard your frustrations, and we’ve worked with our ad operations and development teams to create a solution. The upper-right ad has been relocated from its in-content placement to a flexible siderail that will hug the right side of the page. No more shifting infoboxes! A few things worth noting - If you have a GamepediaPRO subscription, the siderail will not be visible to you. Also, if you have an active PRO subscription, you’ll need to log out of your Gamepedia account if you’d like to view the PRO landing page. Excited about these changes? Have questions? Please reach out - we’d love to hear from you. Feel free to visit our GamepediaPRO section on our Support Page, leave a comment below, or contact us via email. Thanks for being a fan of Gamepedia, and we hope you enjoy these exciting changes. 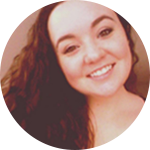 Brianna engages with the Gamepedia community through editorial content and social media. When she’s not busy tweeting about gaming news, she enjoys playing tabletop games, spending time outdoors, and binge-watching sci-fi. brilovely, any updates on removing and/or lessening the usage of the Pro badge on recent changes? Heya! Right now, our development team is working on improving our Achievements system - but Pro badge improvements are still on our radar. I've reached out to the team, so I may be able to get you a more concrete answer next week. Same here. As an active editor on Wowpedia, combing through Recent Changes can easily become tedious since the Pro flair is distracting to the eye. I've been putting up with it ever since it was first added, but... I really hope there's a hide option Soon-ish™. Thanks for the update. I look forward to hearing more details this week! Thanks for the feedback, Wizdeck! Always appreciated. We're going to be looking into ways to make the PRO tag less invasive on pages where it occurs more than once. A secure connection is a premium feature. Hello, Jode! When it comes down to it, ads and HTTPS connections don't mix. It's one or the other. Because we're able to offer an ad-free experience with PRO, that's how we can also include an HTTPS connection. It's worth noting you don't have to purchase PRO necessarily - you can earn it for free! By editing wikis, you can receive a complimentary PRO subscription as long as you remain an active editor. I hope this helps explain why we're able to offer HTTPS access to PRO users! For the most part, I see this as a welcome program! My only bit of criticism, is the 'Pro' tag - having tags on my user-page has never been an issue for me, even if I have never particularly cared about them. But now we have a recurring tag that appears consistently throughout the recent changes, and is rather distracting, in my opinion, since the forced colour draws the eye, especially in the case of conflicting colour schemes surrounding them. It would be nice if we could disable the tag - but I would also be happy if we could, at the very least, change the tag's colours to blend in with the rest of the wiki, and not detract from more important editing elements. That being said, this is all just a minor complaint, and is shadowed by the positive features. Glad you're on board, GarouxBloodline! I do see your point with the recurring PRO badge being distracting on a page's history or on a Recent Changes page. There have been talks to change the design/color to make it less prominent. Don't worry - it's on our radar. I'm definitely going to pass your feedback on! Thanks for sharing. Hmmm, I believe we're still working out a few issues with HTTPS that appeared yesterday - but our team is aware of the issue and working to get it resolved! I'll go ahead and let them know about minecraft-nl, though. Thanks for writing in! For the date, you make a great point! You should read it as August 11th. This is something that's going to need to be fixed, so I'll let our team know about this as well. That could get confusing. Firefox is now able to use HTTPS for minecraft-nl.gamepedia.com, but unfortunately not (yet) for the other Minecraft Wikis (also decided to test faeria.gamepedia.com, no HTTPS connection either). Should've tested them all when I wrote the previous comment... Also, due to the fix to let Firefox use HTTPS on minecraft-nl (and other Wikis), Chrome decided it doesn't want to use HTTPS anymore (or at least, I assume so). FYI: I don't want HTTPS right now, I just want to let you know about the current situation. It's better to have it a tiny bit later than expected with less bugs, than having it as soon as possible with a lot of bugs. EDIT: Sometimes the siderail with ads is still visible, while I'm a PRO. Is this intended or another bug? Another edit: The Wikis are able to use HTTPS. It was an interwiki-related issue (instead of //www.wikiname.gamepedia.com it was http://www.wikiname.gamepedia.com). The issue with the siderail is also fixed when I changed the interwiki. Hello, PeterWind! Glad you're a fan of PRO! Thanks for sharing your feedback regarding the "Recent Changes" page - other editors have also expressed the same feelings. I've passed your thoughts onto our team, and we're going to revisit the PRO badge design. Thanks for leaving a comment! First of all, thanks for rewarding contributors with an ad-free experience, and for introducing HTTPS, at least for part of the user base. I have GamepediaPRO and am viewing the wikis via HTTPS, but Safari is not showing the padlock icon in the address bar. According to users on the Apple Support Communities, this means that Safari has detected insecure elements on the page. Looking at the web inspector on my Minecraft Wiki profile page, it seems that you are still serving some images (like the level badge and the Twitter/Facebook/etc icons) through plain HTTP. You may want to look into the issue and make sure you are serving all content, including images, through HTTPS.